Originally published in 1982. The songs on which this study is based were once vibrant in the throats and ears and minds of living people. This book examines the songs and their meanings in relation to the lives of those people, and relates them to the cultural tradition and practice of which they were an integral part. The art of village song represents a sense of cohesiveness and mutual identity around local patterns of kinship, social groupings, territorial orientations and cultural relationships. 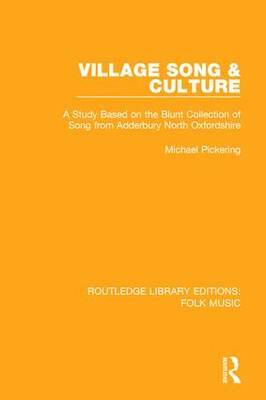 The actual ways in which songs were part of village life is of course highly problematic, but this book endeavours, most of all, to present an understanding of the place of song in the social life of villagers.